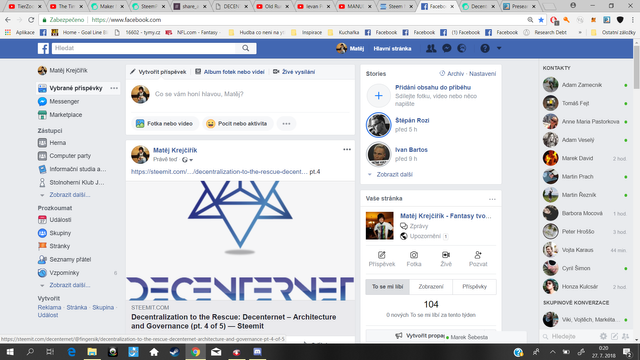 Project’s architecture is the complete network of all the subplatforms and underlying technological attributes that will together form the platform we call Decenternet. Whoever has followed the subseries should already know what there currently is to know about the theoretical architecture. 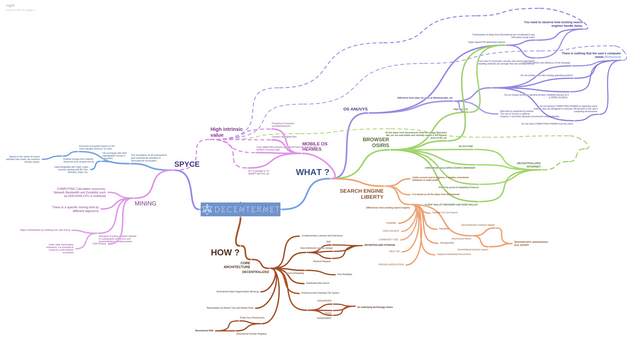 To fully grasp all the connections between the individual parts I already reviewed, namely Anuvys OS, Liberty search engine, Osiris browser and finally the underlying crypto called spyce, take a look at the Decenternet’s mind map. The theoretical architecture should therefore be clear, but what about the technical one? That is a different story. As I said in the previous article, “the safety protocol” unfortunately causes the technical details to remain a mystery in a “fog of war” magically created by the developers. The whitepaper itself only contains exactly one paragraph that is directly explaining the architecture of the whole project. The project is just in an initiation phase, therefore it shouldn’t be criticised too much for the lack of details regarding the technical aspects. As I already explained in the second article (which was about spyce itself), users will be rewarded for a variety of possible contributions, such as providing storages,, computing power, the speed of internet etc. Some of the technical information, definitely not all of it, is located in the “technical whitepaper”, which can only be acquired when a non-disclosure agreement is signed. For that very reason I’m not allowed to speak about the technical aspects any further. If you are interested in more details, make sure to ask for the technical whitepaper on Decenternet’s Telegram. I’m inclined to believe that the team will be able to pull their plan off due to the ARPANET’s support, but there is not enough information to come to that conclusion on my own. I’m honestly happy that after quite some time of reviewing parts of the platform that didn’t have nearly adequate amount and depth of accessible information to make objective conclusions from, the tides are changing. Decenternet’s whitepaper contains a lot of claims about the platform disrupting the current (sort of) centralized POW and POS mechanisms, where insanely wealthy individuals like Jihan Wu, control significant amount of mining rigs, or masternodes, thus controlling associated ecosystems to a great extent. In the article where I tackled spyce I described how all possible forms of contributions will be rewarded. Decenternet though takes decentralization to a whole new untested level. They created 5 superior “mining categories”, namely development team, spyce holders, miners, users and third party developers. Each of those categories can only have a maximum “voting influence” of 20% in between all the members. This clever arrangement stops lot of possibly foul behaviours for the platform. Let me illustrate this on an example. On Steem we basically have an owner (@ned) who arguably owns the majority of all the Steem tokens. I’m not saying that he generally does bad decisions for Steem, but let’s agree on the fact that he has a lot of influence. He is a CEO (thus would be eligible for a portion of the “development team” votes (possibly all of them), and he is a huge stakeholder, therefore he would have like half of all the “spyce holder” votes. As far as I know he doesn’t run Steem nodes and is by no means a “third party developer” and is a sole user of the platform. If Steem ran on the Decenternet’s governance model, someone who now could manipulate the whole Steem ecosystem if he wished to do so would only have around 30% of all the “voting influence” (instead of over 50%). This illustration clearly shows that the model truly does take decentralization to a whole new level. Being a platform developer, a huge stakeholder or an owner of the biggest mining rig wouldn’t make you a dictator of the whole superior category, nor the whole platform, unlike in other platforms. Let’s not rest on one’s laurels though. Everything is “gameable” and this model of governance will be gameable too. The older decentralized platforms are also designed to make it hard for individuals to gain too much power. Decenternet’s model just makes it harder once again. That doesn’t mean though that an optimal governance model has been found. Nevertheless I believe that this one could evolve into something that will be adopted by much bigger variety of decentralized platforms in the future though! In a nutshell, my disappointment turned into happiness! The “Safety protocol” quickly became my biggest enemy accompanying the Decenternet project. Since we live in the “remix age”, I respect the need to guard one’s knowledge until the project is released or at least closer to the release date. The whitepaper needs more technical information, but I’ll gladly wait for it to exit the “fog of war”. I only hope that it will be the case before Decenternet enters ICO Stage. If that was not the case, it could prove to be a hindering aspect for the whole project. 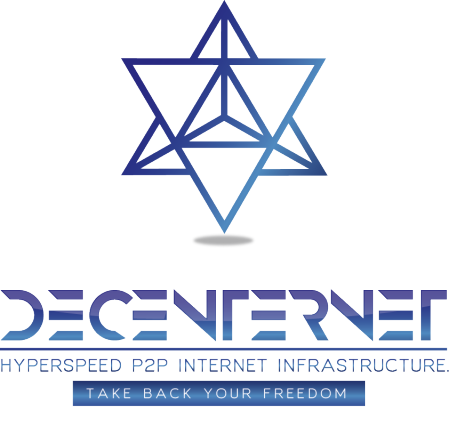 The biggest concern I personally have is following: How will the Decenternet battle possible efforts from ISP to block usage of bandwidth for interaction with the Decenternet’s platform? Is it something that all crypto projects have to fear? What is the weak point in the internet’s network that can allow us to bypass any spying mechanism? Maybe it’s my ignorance, but I don’t get it yet and I would expect the whitepaper to explain this, since it is the main problem being solved by the platform. 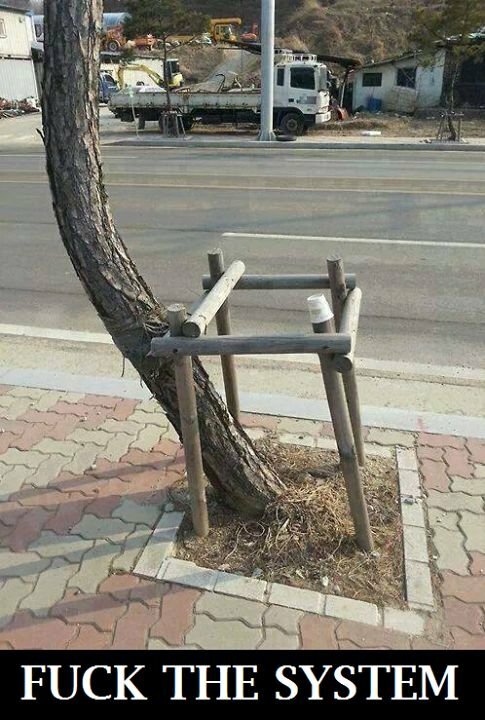 On the other hand, the presented governance model caught my eye. Blockchain environment is in constant need of new governance and consensus models making their appearances and possibly helping the realm to evolve into even higher tiers of an “old-ways-disruptor” ranks. I’m far from the doomsayers claiming that POW and POS are both outdated, but I would never say no to something new, possibly POR (described in 2nd article) accompanied by an arguably strongest decentralizing governance model ever presented across all the Blockchains I had the pleasure to study. Great analysis on decenternet's structure architecture @fingersik. Keep up the research! Thanks...I tried hard what can I say:D. The research has already been finished. The last article from the subseries can befound here.